omance, Heartbreak, Love, Life. 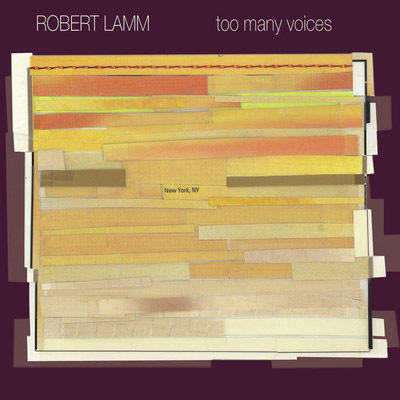 Great singing by a familiar and contemporary voice…this is a brilliant collage of music performed by Robert Lamm. Every song displays strong lead vocals, superb harmonies, and amazing delivery. Too Many Voices is actually a far stronger album than its shorter, previous incarnation, In My Head. The six new songs add more organic textures (Schitzoid in particular rocks!) to balance out the beefed up, contemporary electronic production. The new running order, in particular, makes this album a better listen than the old version. The songs, of course, are all up to Robert’s high standards, and the guest spots from Phoebe Snow, Carl Wilson, et al are great-added treats. In the occasional solo albums he has released to punctuate his ongoing, longtime career as a singer/songwriter and keyboardist with Chicago, Robert Lamm has tended to explore the byways of his talent, avoiding music that sounded like his band, but often making music that sounded like other artists on the charts at the time the disc was recorded. By 2004’s Too Many Voices (which is actually a revised, expanded version of the 1999 album In My Head), however, with Chicago rarely recording new albums, he seemed to simply be writing and recording what he liked, including songs and tracks that might have been appropriate for the group. Not that he has allowed himself to get old-fashioned. The sound of Too Many Voices usually reflects contemporary technology in its dense keyboard-based tracks with their heavy drums sounds. But the songs are closer to vintage Lamm (which is to say, reminiscent of some of Chicago’s earliest work when he was the dominant songwriter) than an attempt to steer clear of his legacy. This is an artist happy to display the influence of the Beach Boys and the Beatles in the vocal harmonies and song structures, and one who, like the Lamm of old, ponders the current state of the world while also plainly expressing romantic devotion. In the former category, for example, is “Will People Ever Change?,” a philosophical speculation on a direct line from an earlier Lamm composition like “Does Anybody Really Know What Time It Is?” Lamm’s love songs, meanwhile, come off as heartfelt, particularly “Standing at Your Door,” and he is assisted by duet partner Phoebe Snow on such songs as “The Best Thing” and “Hold on ‘Til Forever.” His own voice is versatile, as usual, ranging from a calm, clear croon on the seemingly autobiographical closer “Watching the Time” (actually written by Carl Wilson and Gerry Beckley) to a gritty, soulful growl on the Motown-like “Good Lovin’ Ain’t Easy to Come By,” which precedes it. Robert Lamm © 2017 | All Rights Reserved.